Hot and Humid weather for next week! 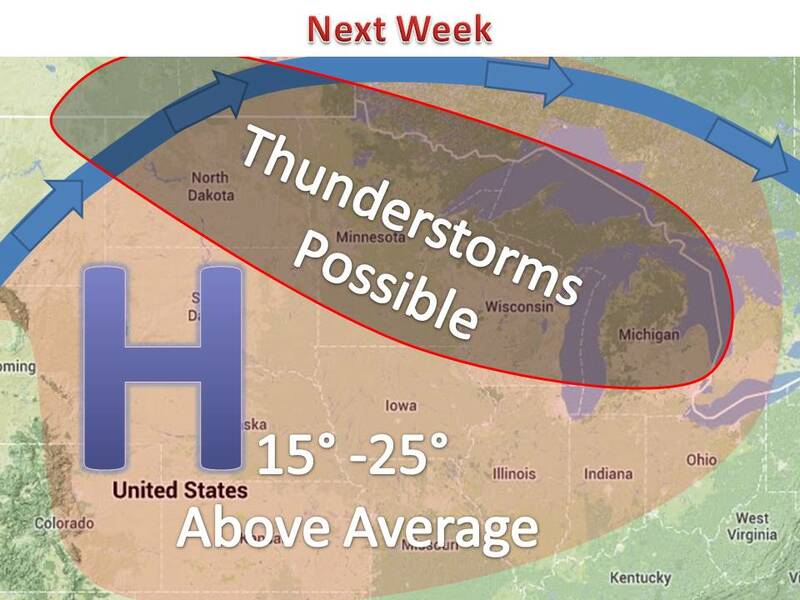 A chance of thunderstorms will also persist just about every day in northern parts of the Midwest. Many places in the Northern Plains will see highs up into the 100s, 90s for just about everybody else....as the Jet Stream lifts north into Canada ushering a Gulf area of high pressure that will continue to pump warm moist air up into the Midwest all week. A couple fronts will move through, but the main one comes in around Labor Day!